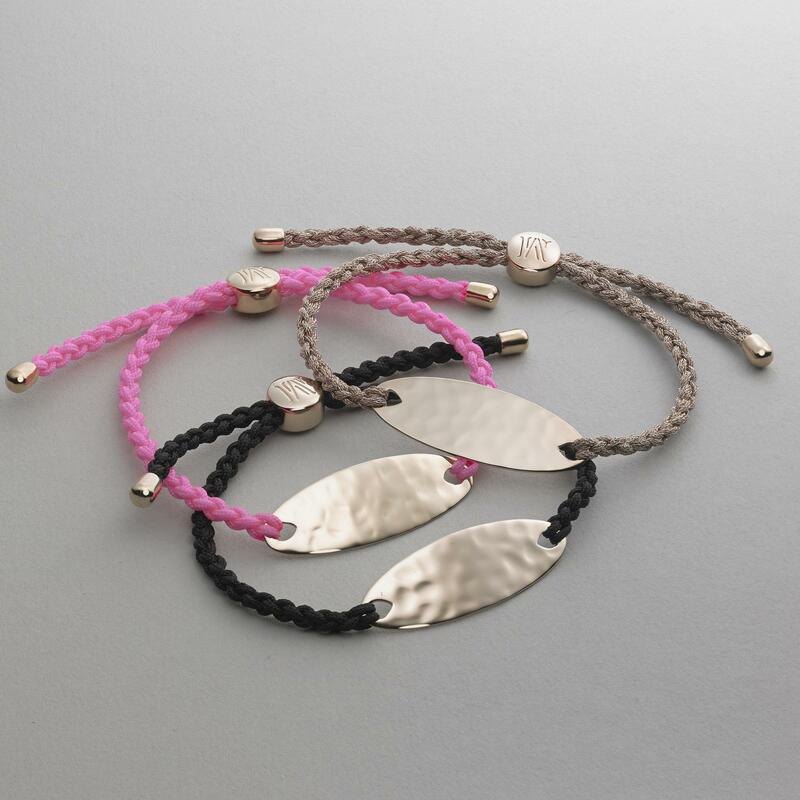 See more Monica Vinader Bracelets. We check over 450 stores daily and we last saw this product for $197 at Monica Vinader. Black for Energy. 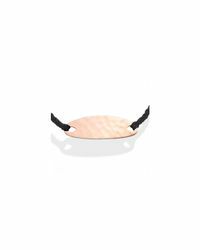 The Bali Friendship Bracelet is perfect for engraving, with it's gently hammered oval disc in 18ct Rose Gold Plated Vermeil on Sterling Silver and adjustable cord. 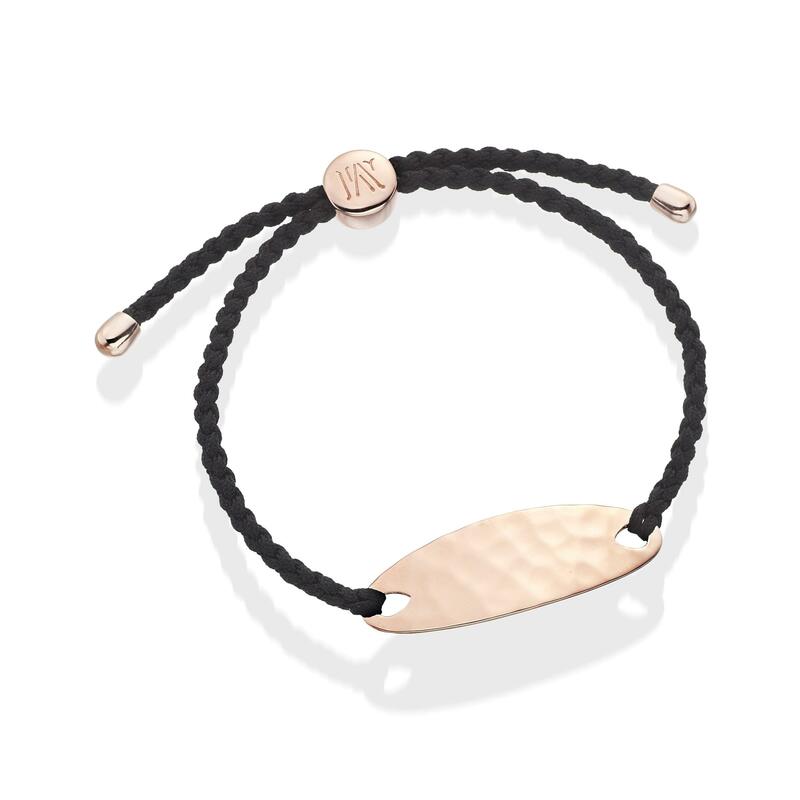 Looks great worn with multiple bracelets (we suggest teaming with our Fiji Bracelets) and makes a perfect gift for a friend. 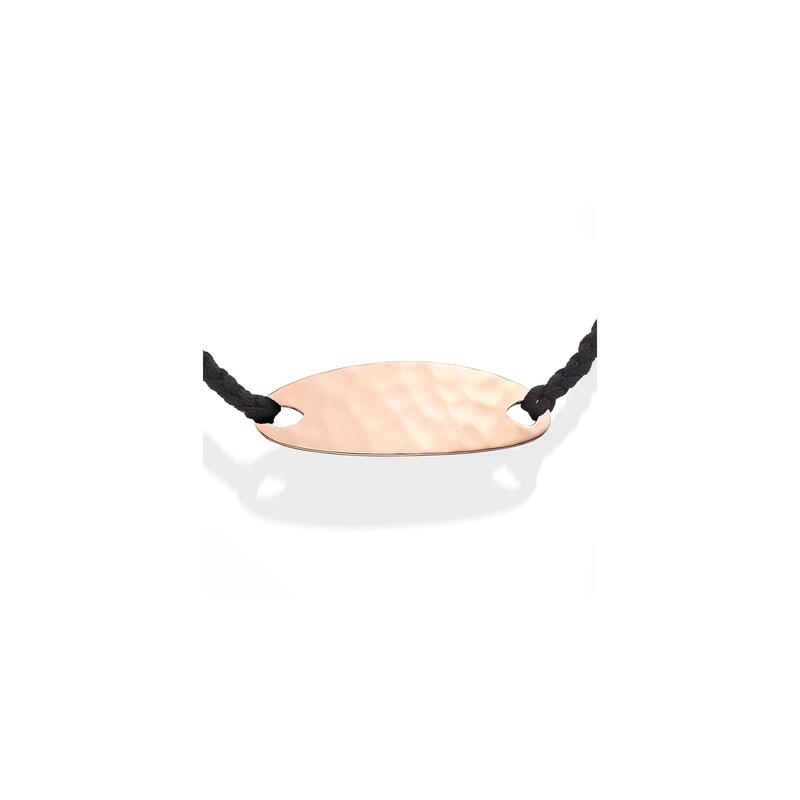 The oval disc measures approximately 35mm (1.4") long and 12mm (0.5") wide.